If you have any questions/bug reports or feature requests. Please click on Tickets on top, and create a new one. This is a display of all current Items, you click an item to buy it. Displayname: This is a custom Item name. - in this case give and a say announce! How to sell an enchanted book? Would you update it to 1.13.1? This plugin is awesome. 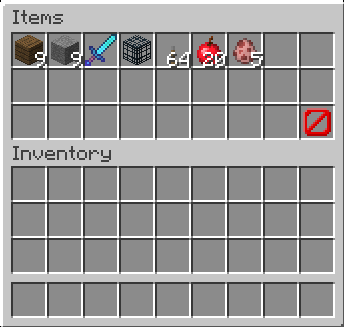 I spent ages trying to find a working GUI Shop plugin for the Skyblock world of my server, without luck. And then I found this. Thanks! I appreciate the official statement. I hope life gives you some free time in the future. Good luck. It has indeed become an inactive plugin. Too bad, as it was easy to use. No longer inactive! I'm MrComputer the new Author for this plugin! There are quite a few bugs with this and the author doesn't seem to respond. None of the command selling features work. Nothing but the default minecraft items can be used. I setup some cool shops selling different kits, commands, bundles, etc, and they disappear after a restart. Half of my shops do not even show up anymore until I do /shop reload. I have contacted the developer months ago and not a response. I would not recommend this plugin if you want to use half of the labeled features. Literally nothing works but the default items under the buy/sell feature. Note is has been more than 3 months since I contacted the dev about my problems. I have a bad feeling this is an abandoned plugin. suggestion: how about change the reward LOG:2 to 1:2, numbers will be easy! Item Log2:0 & Log2:1 (162:0 & 162:1) don't work. spawn_egg or monster_egg don't work. enchanting don't work. I am spigot 1.9.2. thankyou. Pls. FIX the 'COMMAND' ERROR! (1.9._) ! I updated this to 1.9 and any of my "command" items are not showing up. All of the items show up just fine but the command feature won't show up :) Just letting you know.